What I love most about traditions is that they connect you to people even after they’re gone. My favorite Easter tradition is baking the Italian meat pies that my Mama taught me how to make. Some people call it Pizza Rustica or Pizza Gain, my family calls it Pizza Piena, which means stuffed pie. And it is STUFFED with goodness! 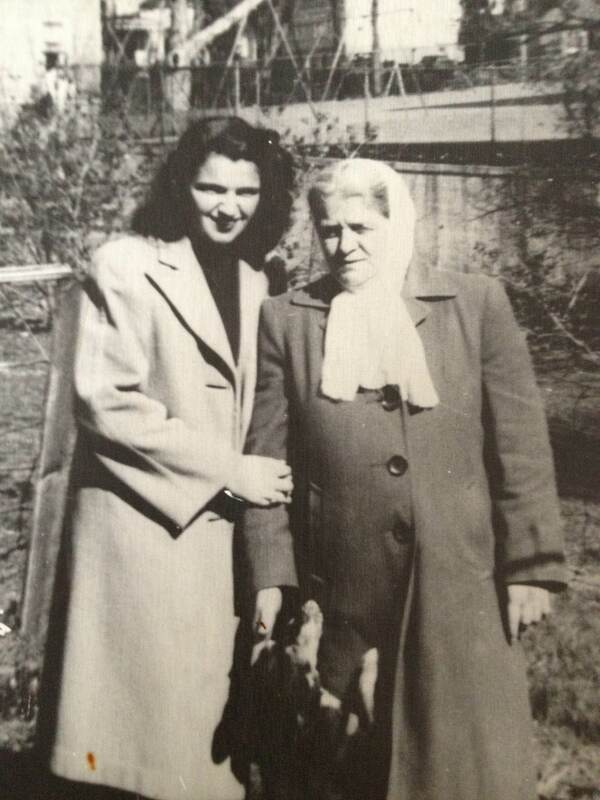 My Nanny Verderosa, Josephine, who I sadly never got to meet used to make the pies every Easter; then she taught my Mama, Nina, and eventually my Mama taught me. When I was younger I never liked Pizza Piena. I don’t know what was wrong with me! I didn’t like shrimp either. Thank goodness our taste buds mature with age! Anyway, the pies were always and still are a big deal for my family at Easter time. My Irish father especially loved them, and I say “them” because there are always many that are made. As I write this there are six pies sitting on my kitchen island waiting to be enjoyed. It all starts with the biggest bowl or pan that you can find to mix all of the ingredients together: ricotta cheese, mozzarella, parmesan, eggs, ham, salami, pepperoni, salt, pepper … are you drooling yet? Sometimes to mix it all together really well, my Mama taught me, you just have to wash your hands and get in there and mix it all up the old-fashioned way! Then you load up deep dish pie crusts with the filling, top with sliced hard-boiled egg and cover with pie crust. Poke the pies with a fork a few times, brush them with an egg wash, bless them with the sign of the cross and bake away to deliciousness! So many people make them differently; probably the way they were taught by the mother or grandmother. I of course hold the way I make them near and dear to my heart because of Nina and Josephine and the generations before them that tie me to the “recipe”. I use the word “recipe” loosely because in my family, there never seems to be an official recipe. “I don’t know what I do, I just put some of this and that, but make sure to put a lot of pepper,” my Mama would say. She loved her pepper. When I first started making the pies, my Mama would sit in the kitchen with me to be my taste tester and to help direct me “eh, throw in the rest of the cheese” and “don’t forget to make the sign of the cross to bless them”. Even after I got the hang of it, I still asked her to sit in the kitchen with me. “You know what you’re doing, you don’t need me.” But having her there with me was my favorite part. Over the years I am certain that I have never made Pizza Piena exactly the same way twice. Sometimes I add a little prosciutto to the mix, sometimes pecorino instead of parmesan. Just like my Mama and Nanny, I don’t use a recipe. But every year, somehow they always turn out pretty good, if I do say so myself. I make them with love. I make them for Nina & Josephine. 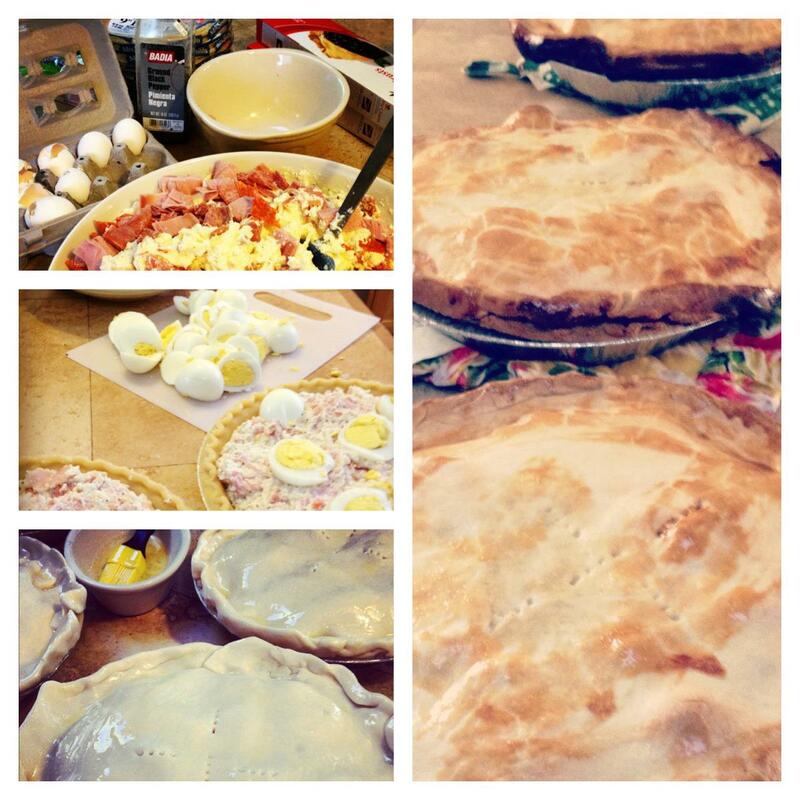 Tags: Cooking, Easter, Easter Meat Pie, family tradition, food, Italian Easter Pie, Pasqua, Pizza Piena, recipe, tradition. Bookmark the permalink.